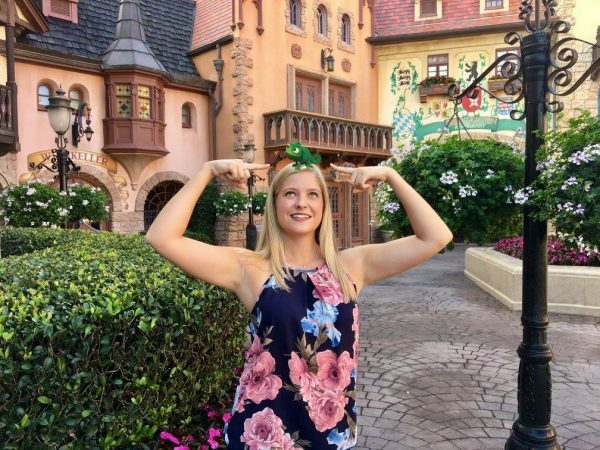 If you are new to Disney World or if you haven't ever paid much attention to Disney's PhotoPass service you may be thinking that a "Magic Shot" is when somebody at Epcot (over the age of 21, of course) consumes a bit of alcohol out of one of those containers they market as "toothpick holders". That my friends is just a plain ol' "shot". Yes, you may be drinking it at Disney World but it's still just called a "shot". OR - maybe you think it has something to do with a bunny rabbit and a person waving a wand over a top hat. But that is just "magic". A "Magic Shot" is something totally different. But just what are Magic Shots at Disney World and where can you find them? To understand Magic Shots you need to first understand what Disney's PhotoPass service is. In a nutshell, Disney's PhotoPass service is the name of the overall photo system at Disney World. Anytime you get a ride photo or have one of the PhotoPass Photographers in the park take your photo you are using PhotoPass. 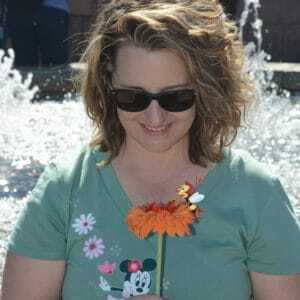 PhotoPass SERVICE is 100% free. You pay nothing to have your photo taken by PhotoPass photographers. Even if the photographer takes a picture of you with your phone or camera, it is still 100% free. But, and this is a huge but, if you want to download or have the photos printed (the ones on their camera, not yours of course), that costs money. 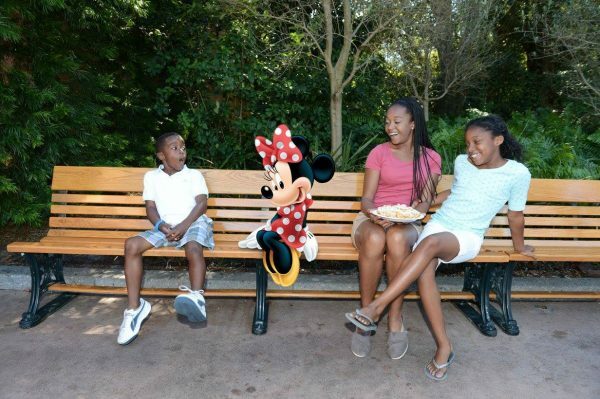 One of the most popular ways to do that is by purchasing one of the PhotoPass products called "Memory Maker". Because of supply and demand or surge pricing or some other economic term that I've forgotten since my macro classes in college, Disney's pricing structure for purchasing PhotoPass photos makes Memory Maker appealing for many families since by purchasing Memory Maker you get ALL the photos taken in the parks. Everything. All the pictures taken when meeting characters, all the ride photos (and videos), all the pics in the parks, and, all the super fun Magic Shots they take - you get them all for 1 price. So, now that you know the basics, I bet you're wondering just what in the heck "Magic Shots" are. Sure, you may feel a bit silly taking the Magic Shot photos because you generally will be asked to pretend like something is there that really isn't but the end result is usually pretty cute and worth the temporary embarrassment. Not every PhotoPass photographer can do every Magic Shot, though. 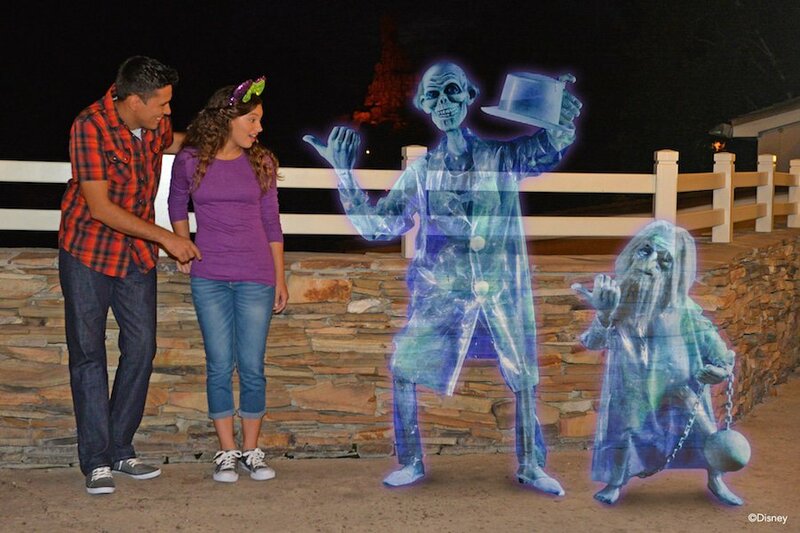 You'll find different Magic Shots in locations throughout the parks, each one themed around where the photo is taken. It used to be a lot more difficult to figure out what shots were available where but Disney is doing a better job of sharing that info. Unfortunately it isn't something you can find out in the My Disney Experience app. 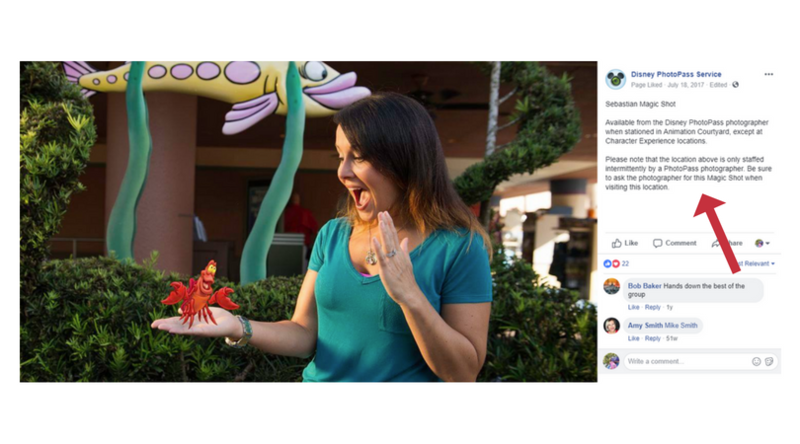 If you want to know what Magic Shots are available and where you can find them, you'll need to go to the official Disney PhotoPass Facebook page. 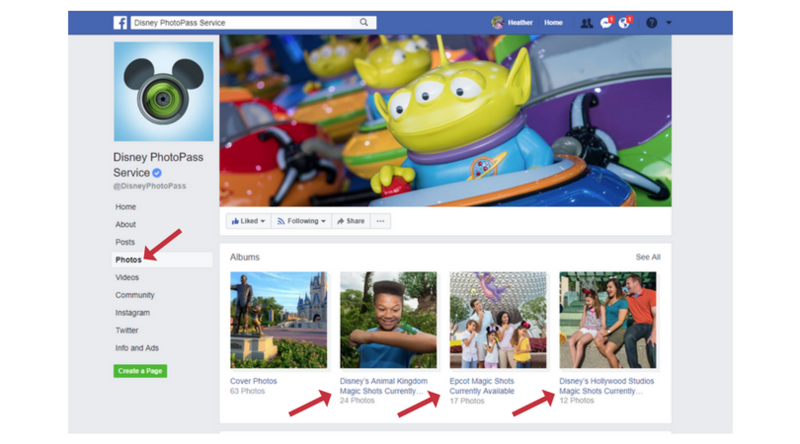 And, if you look on each individual photo, the description will tell you where you can find that particular shot: When you have your photos taken in the parks make sure you ask the PhotoPass photographers if they can do any Magic Shots. Not every photographer will be set up to do it and while some will automatically have you pose with the intention of it being a Magic Shot other photographers you may need to politely ask. Our advice is this: If you are planning on purchasing Memory Maker make the most of it and try to get a few different Magic Shots taken during your trip. They will probably make you a lot happier to look back on 10 years from now than another "toothpick holder" would.